We have been a bit delayed in finalising the results of the Logo competition. The judges hope to have this done in the coming two weeks and ready for the swim hats to be printed. Apologies for the delay. The Ballycotton Sea Temperature Gauge is back in action after a few months offline. It’s confirming that the temperatures remain over 8c in the water, which is very good for February. We’re going to swim today, Thursday, at 4.30, but Saturday’s forecast is terrible, so that one is cancelled. 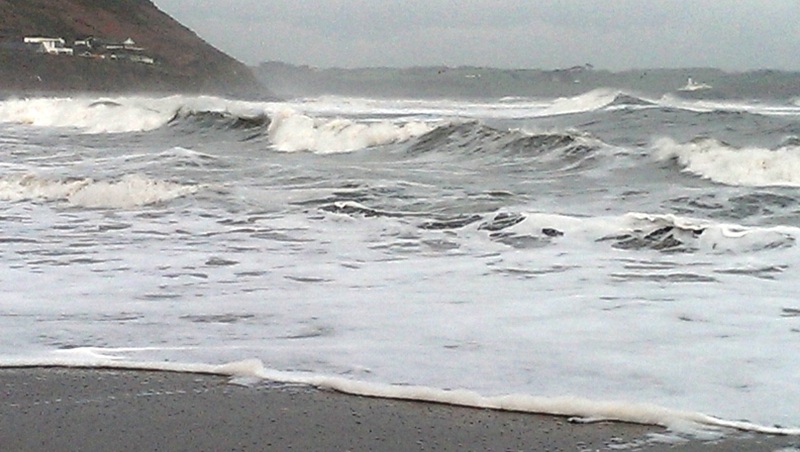 It might even look like this again..
Myrtleville – February 4th – still four hours to high tide. 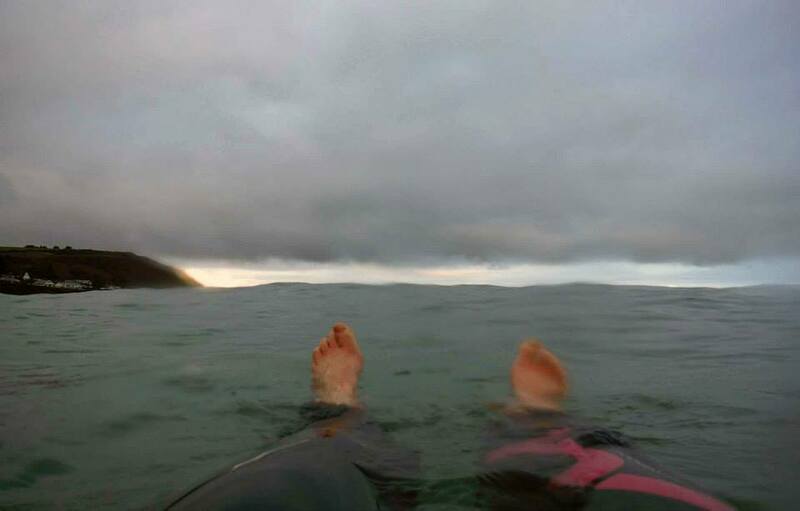 The wind had moved to Southerly by the planned swim time at 4.30 yesterday – no swim! 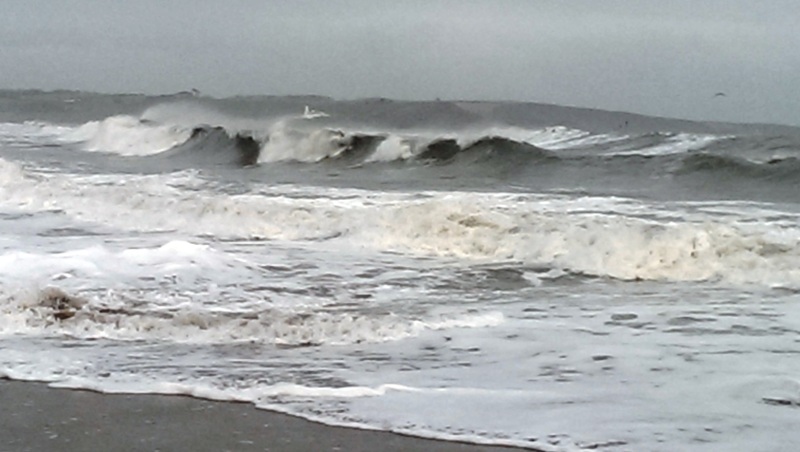 Myrtleville, Monday February 3rd, 2014 – should have brought a board. 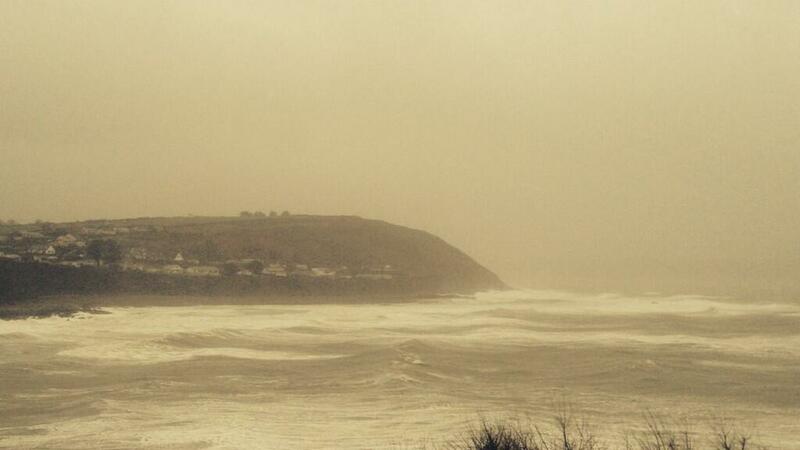 Myrtleville, Monday February 3rd, 2014 – not going to make it to the Dutchman! Hopefully we’ll get in on Thursday at 4.30. Saturday looks very suspect at the moment. Despite the Armageddon forecast for Saturday morning, it was quite swimmable. We had seven swimmers and at 8.4c, nobody felt the need to get out early. 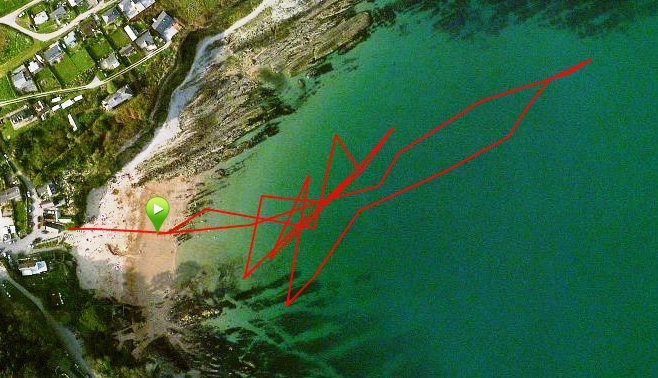 Gary Frost’s map for the swim shows there was a bit of messing around and stop-starting going on, but it was really enjoyable. Finbarr and Jim Shaloo headed over outside the breaking waves at the Dutchman, with the rest of us turning at Fennell’s Bay. Mad Maps – what was Gary doing? Toes-eye view – the Dutchman and Roches Point are thataway. Not the greatest forecast for the week, but we can’t complain for February. Going to try for 4.30 Monday and Thursday, with 8.15 on Saturday morning looking the most dodgy one given the current weather predictions. There’s bound to be a calm bit, though!